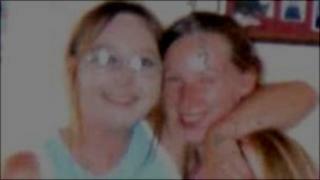 Police have started a murder inquiry after a 23-year-old woman was found dead in east Lancashire. A police spokesman said a post-mortem examination found that Anna Banks died due to "pressure to the neck". Officers were called by the ambulance service to Hawley Street in Colne shortly after midnight. A 24-year-old man has been arrested on suspicion of murder and is being questioned by detectives who have appealed for the public's help. Det Supt Neil Hunter, of Lancashire Police, said: "I would obviously renew my appeal to anyone who may have been in the Centaur Court area last night and who may have witnessed something or have any information that can assist the enquiry then I would ask them to contact us."